I'll post any new screenshots here from time-to-time. 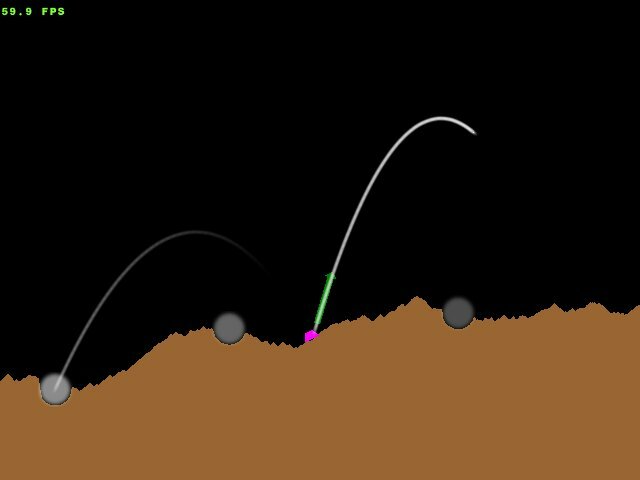 Hopefully these should give a idea of what the game is like if you're unable to play it for whatever reason. 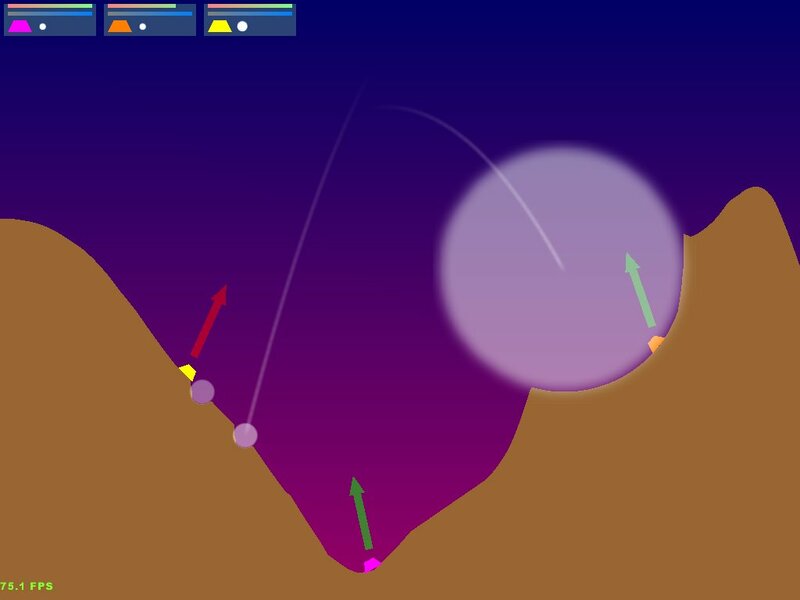 April 2004: An example of the new gradiant colours on the terrain. 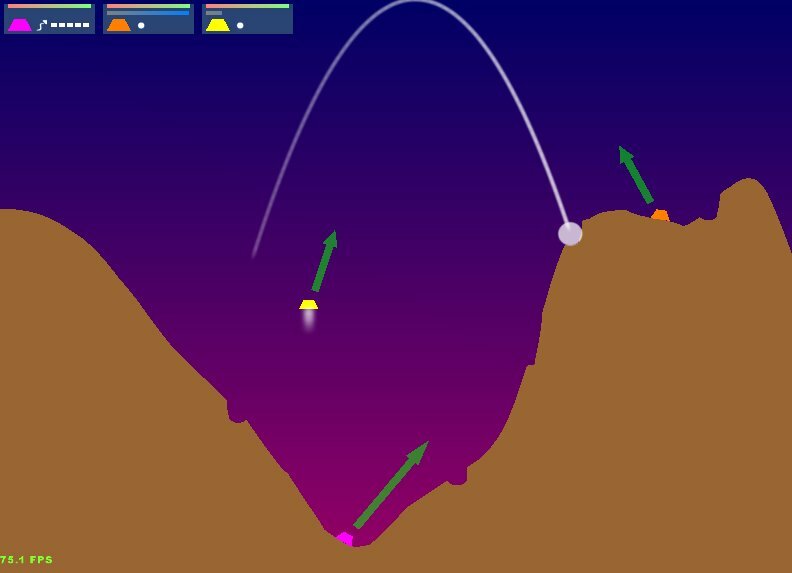 April 2004: By adding a few computer controlled players into the mix, things can become quite manic. 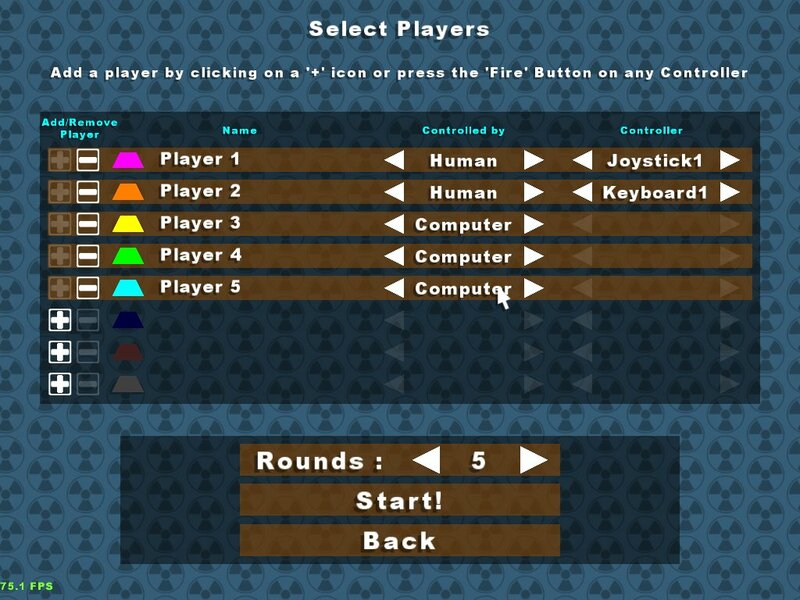 April 2004: The new, redesigned, player selection screen. Certain players can now be controlled by the computer. March 2004: As you can see, nukes have a much larger area of destruction than the standard shots. Orange has taken the brunt of this one. 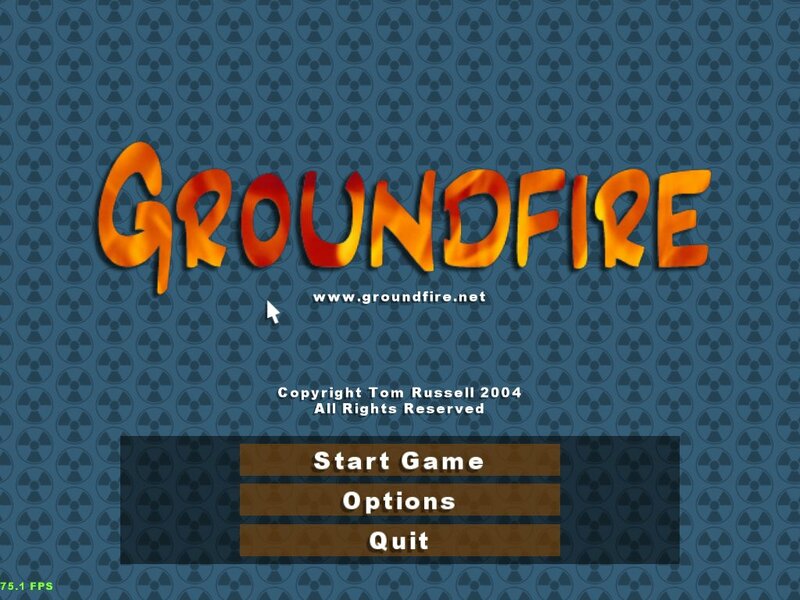 March 2004: The Groundfire title screen. March 2004: The yellow tank takes to the skies, with the help of jumpjets. 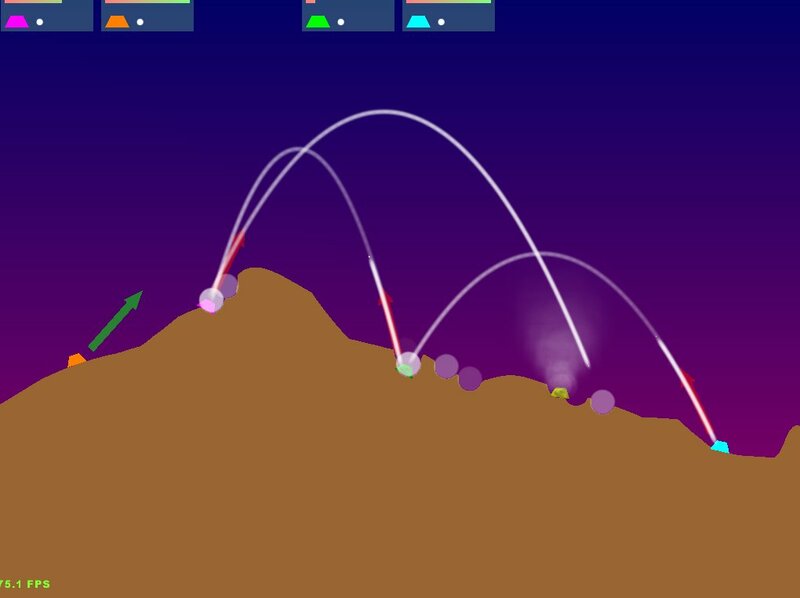 December 2002: This is an old screenshot of Groundfire. 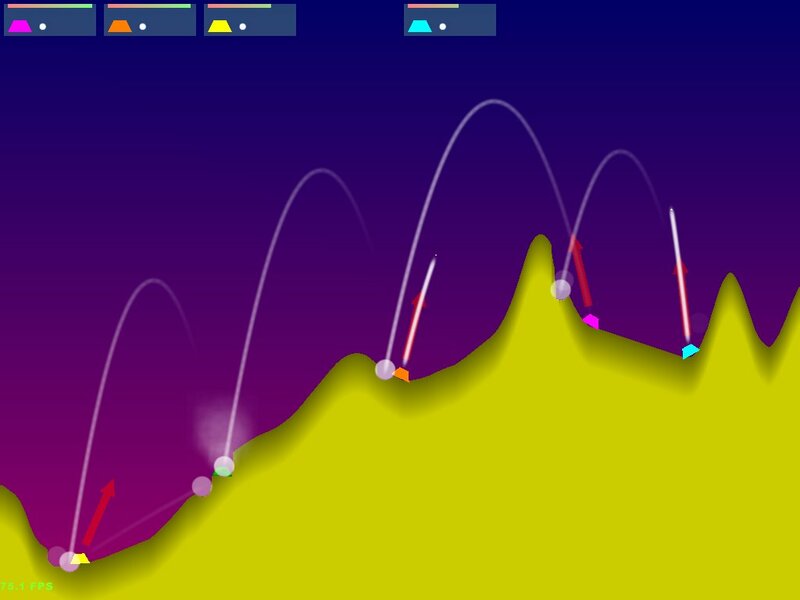 Notice the nasty jagged terrain. Also, there's only one tank here so it wasn't much of an exciting game back then.